So here’s the plan. 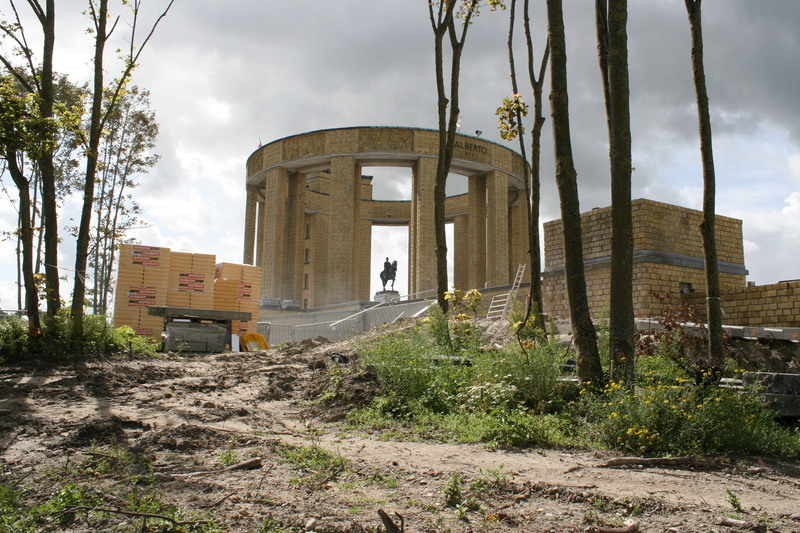 Start near the coast at Nieuwpoort (Nieuport during the war), and follow the approximate route of the front lines south, taking in as many points of interest as we can on the way, as far as the town of Diksmuide, if time allows. Actually, this tour isn’t starting exactly as planned. 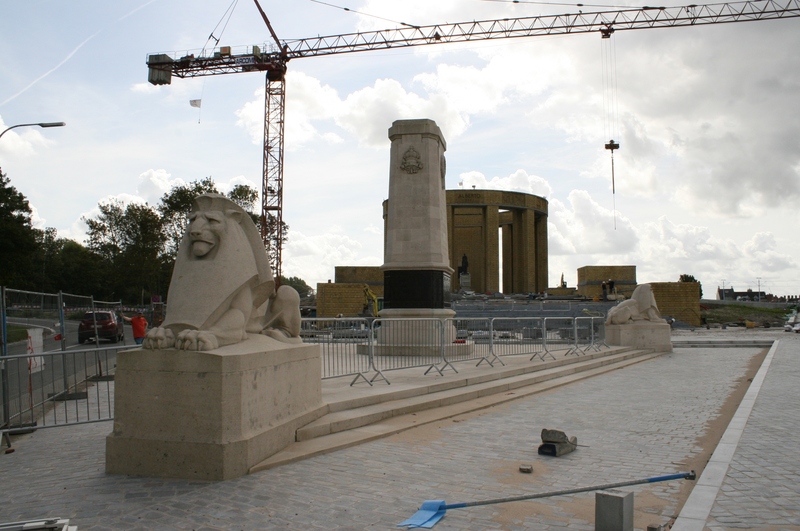 The Nieuport Memorial is surrounded by barriers, and there is clearly no chance of getting anywhere near the Albert Memorial, in the background, today. Still, we shall have to make do. 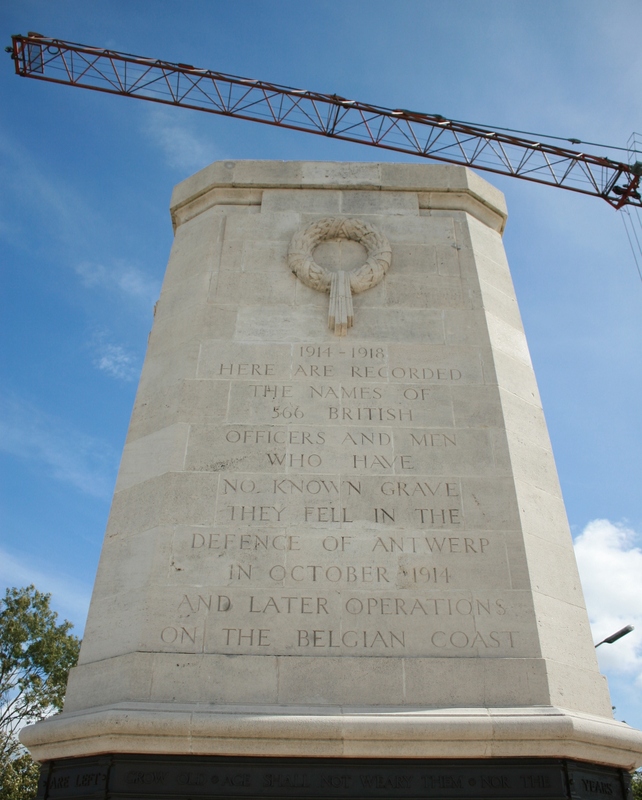 So if this tour is entitled ‘The Belgian Sector’, then why are 566 missing British officers and men remembered here on this impressive memorial? At the end of September 1914, the ‘Race to the Sea’ was coming to an end as the opposing armies neared the channel coast. Further to the east, the Germans were closing in on Antwerp, breaking through the outer ring of defensive forts, pushing the Belgian Army back towards the city itself. 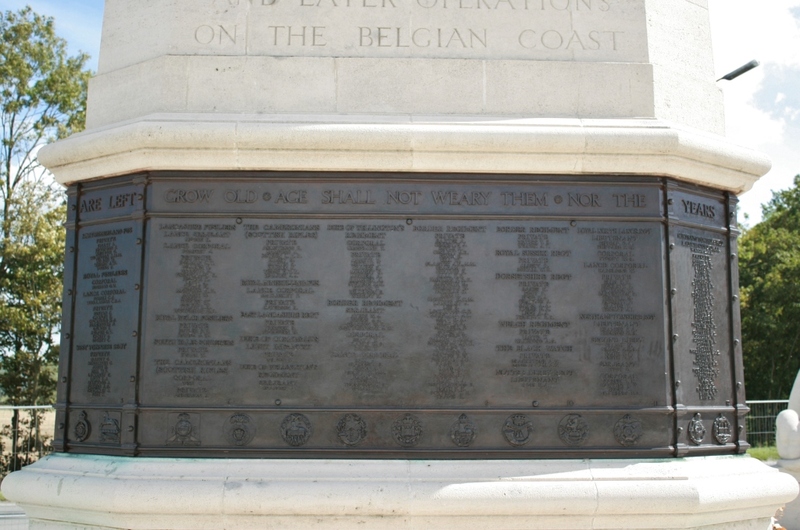 Fearing that the fall of Antwerp would greatly endanger the Channel ports, essential to ensure the supply of their army, and knowing that that the Belgians were preparing to withdraw before they became encircled, the British sent the Royal Naval Division, consisting of two Naval Brigades and one Royal Marine Brigade, to help prolong the city’s defence. Between 4th & 8th October, despite a dogged rearguard action, the British and Belgians were pushed back towards the outskirts of the city, at which time the order to withdraw the majority of the Belgian Army was finally given. 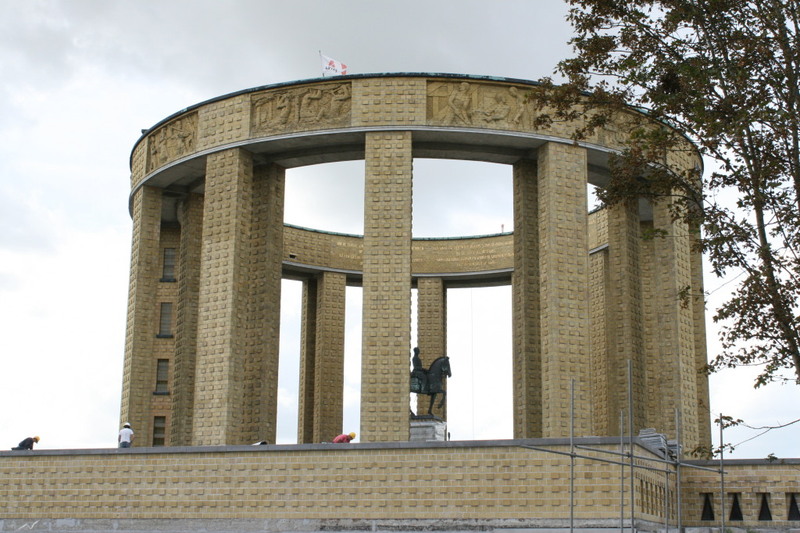 The Royal Naval Division and the remaining Belgians briefly occupied the inner ring of forts surrounding the city, but continuous German pressure necessitated a further withdrawal early on the evening of 8th October. The defence of Antwerp was over, and the decision was swiftly taken to abandon the city entirely. Over the next few days many of the exhausted marines found their way back to Ostend, other were captured by the Germans (six men were shot whilst attempting to escape and one officer, Lieutenant Commander Oswald Hanson, executed on the afternoon of 10th October for striking one of the firing German guards), and more than 1500, who had failed to receive the order to withdraw from the forts, evaded the pursuing Germans by crossing the border into Holland, where four years of internment awaited them. Accurate casualty figures for the operation are rather difficult to ascertain; different sources quote different figures, and you may have realized by now, if you are a long-term BigNote follower, that you won’t get others’ facts and figures simply regurgitated on this website. Far too often on the internet you will find, whatever the subject, errors repeated on site after site, so I do try, whenever necessary, to check my sources and do my own research if required. Looking through as many available sources as I could find, I can put names to 51 men who were either killed during the operation, or subsequently died of their wounds before the end of October, some of these in German captivity. Approximately 900 men in total became prisoners of the Germans, and as we have already seen, some 1500 were interned in Holland. Many of those who died were buried in Schoonselhof Cemetery in Antwerp, or in other smaller cemeteries nearby. Those with no known grave are remembered here on the Nieuport Memorial. 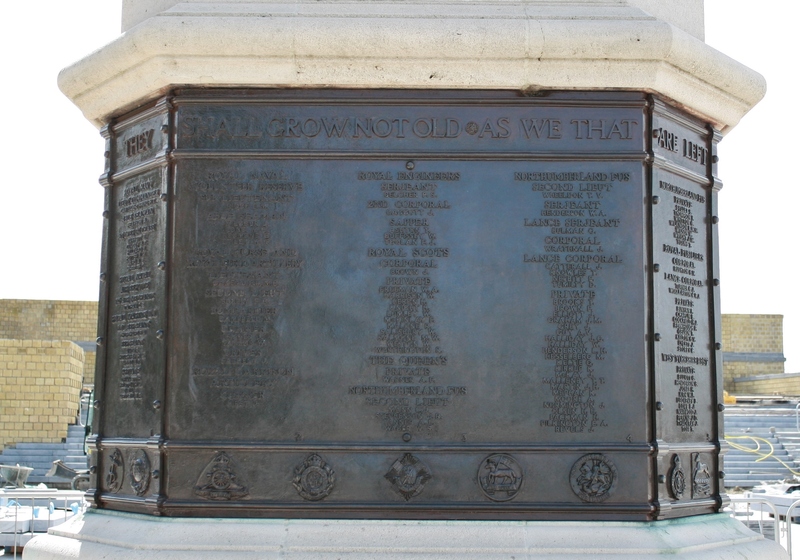 None of which accounts for the majority of the names to be found on the memorial. 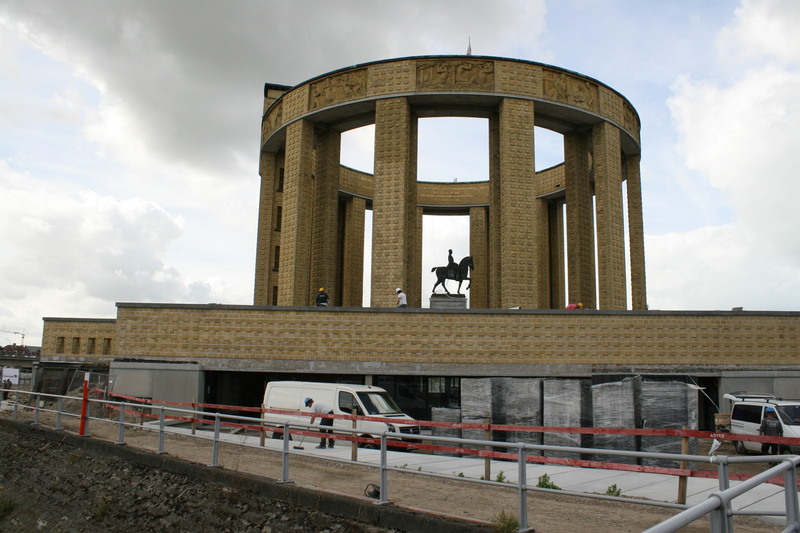 The British would not see action again in this sector until June 1917, when they took over the trenches from Nieuport to Ramscapelle (now Ramskapelle – we shall find ourselves there later in this tour) from the French in preparation for potential raids on German positions further along the Belgian coast. The Germans, however, had got wind of the operation and struck first. 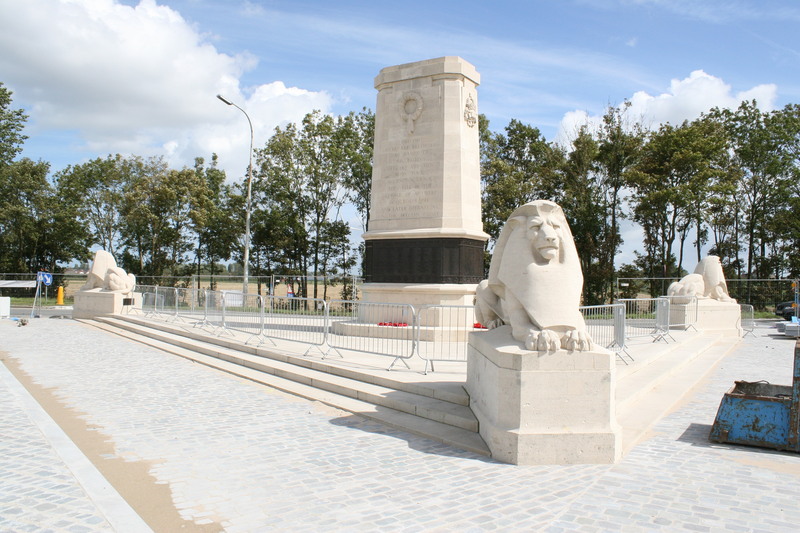 On 6th July 1917 they opened a sporadic, although at times heavy, three day bombardment of the British positions before, at 5.30 in the morning of 10th July, the massed guns of the German artillery opened fire*, destroying all but one of the bridges across the Yser, and isolating the British forces positioned in a fortified bridgehead on the wrong (eastern) side of the river. Attacked by wave after wave of German stormtroopers and marines, the outnumbered British were doomed. A handful of officers and not many more than fifty men made it back across the river; the rest were either killed or captured. 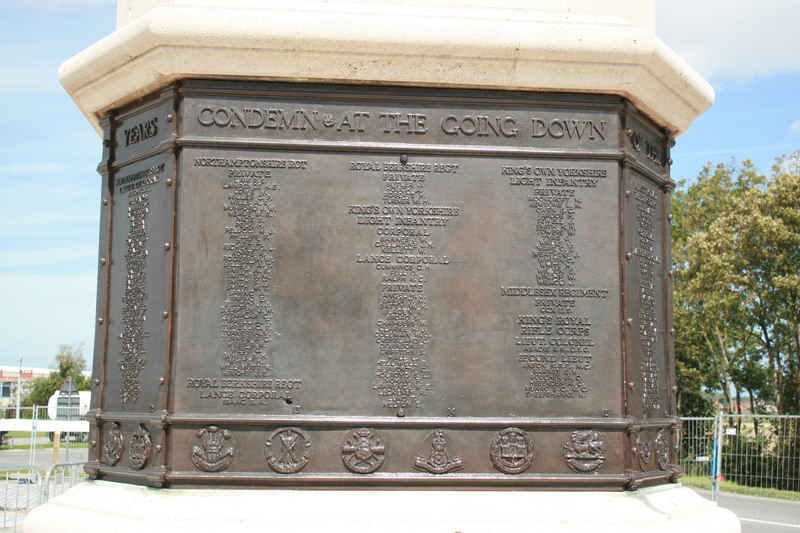 By the end of the action, the British had lost more than 3100 men killed, wounded or missing; the names of more than 260 of these, killed on the 10th but whose bodies were never found, are remembered on the memorial. *This included, I believe, the first use of mustard gas by the Germans. 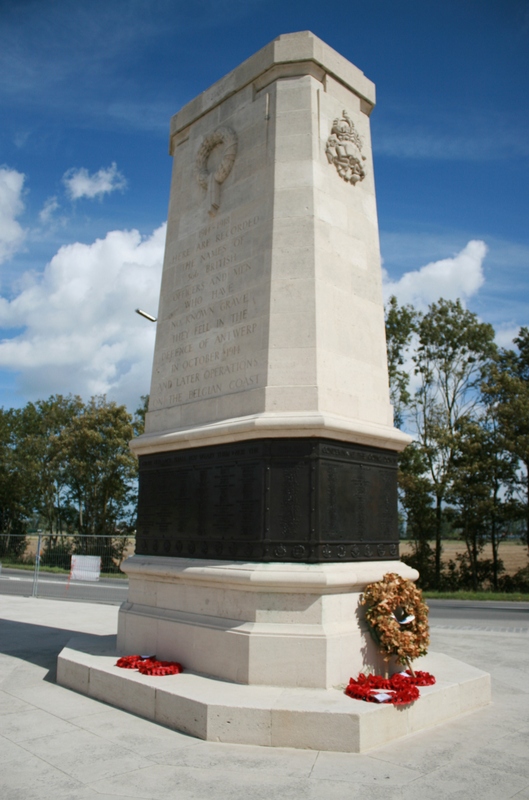 Lieutenant Colonel Richard Neville Abadie DSO, Officer Commanding 2nd King’s Royal Rifle Corps, one of the battalions isolated in the bridgehead, is the highest ranking Army officer commemorated here. 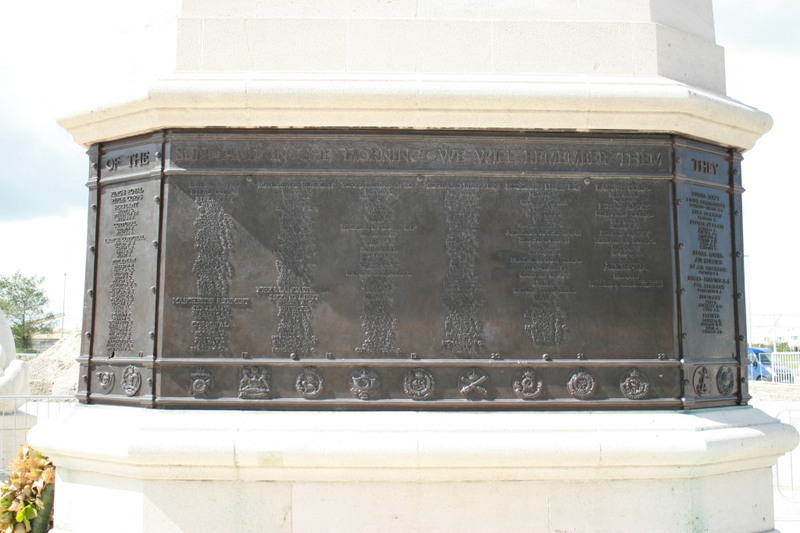 The remainder of the 566 names inscribed on the memorial are those of men who died in the day-to-day activity of conducting a war, before the British left the sector in November 1917. You will notice the name of Lieutenant Commander Henry Thomas Gartside-Tipping (son of Gartside Gartside-Tipping. I kid you not) at the top of the panel on the far right. 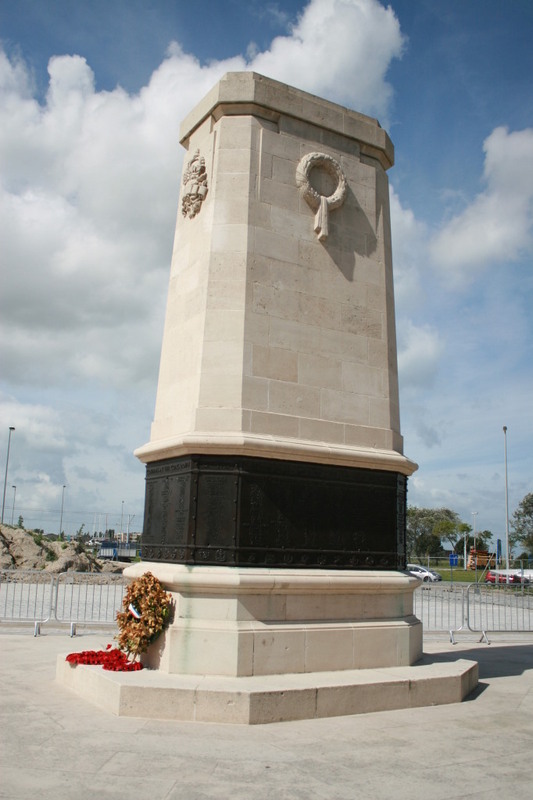 Gartside-Tipping was 67 when he was killed commanding HM Yacht ‘Sanda’ on 25th September 1915; tragically, his wife Mary was shot dead by a deranged French soldier on 6th March 1917, two months after joining the Women’s Emergency Corps to serve in France. She is buried in Vauxbuin French National Cemetery. 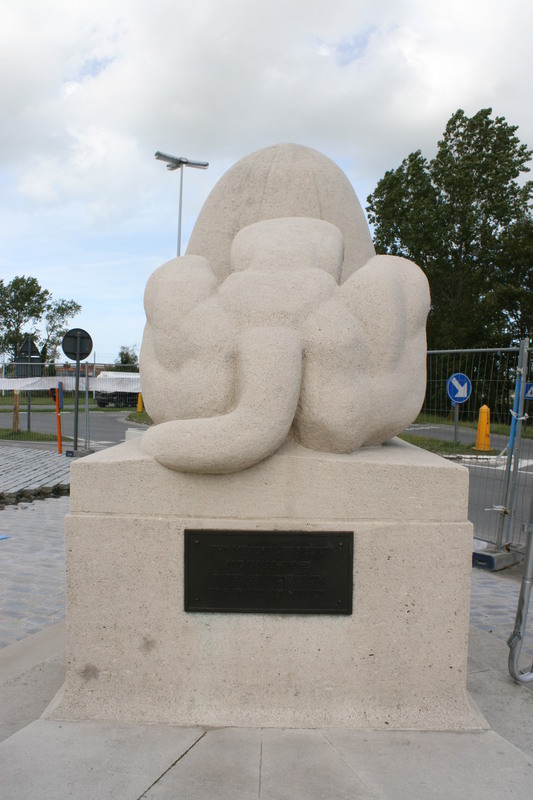 Just down the road, there’s one of three Demarcation Stones that mark the furthest west the Germans reached in the Nieuwpoort area. No, I didn’t. Because I’m an idiot. As I said earlier, no chance. 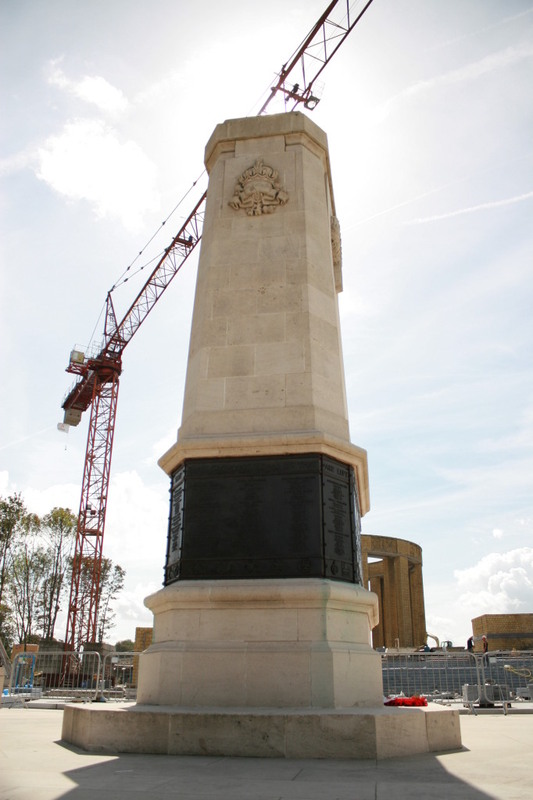 They were building a new visitor centre beneath the Albert Memorial at the time of our visit – I believe it is open now – which precluded us not only from looking at the memorial close up, but also from seeing what I am told is a magnificent view from the top. 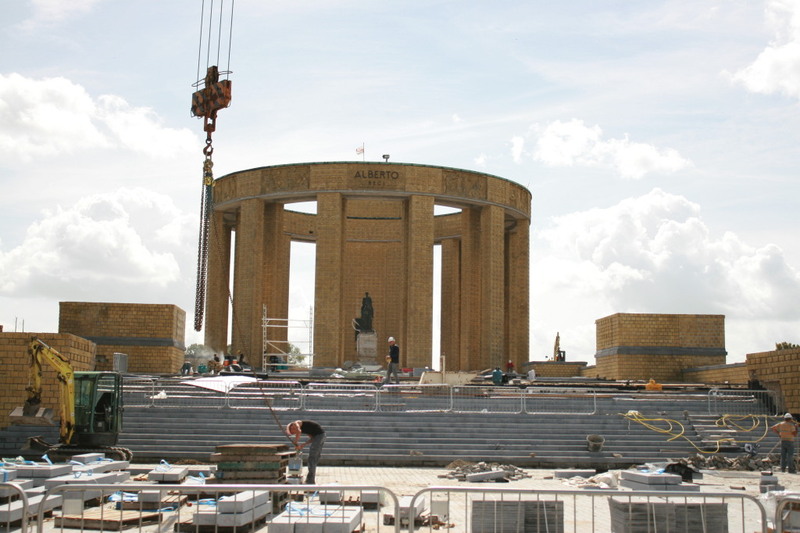 …that there will be no construction work going on there. 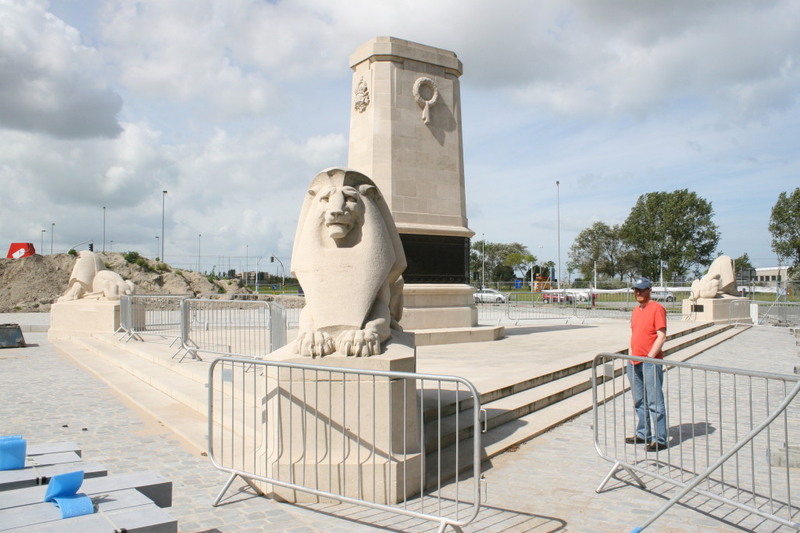 We’re going to take a look at the Nieuwpoort locks, the Goose Foot, and the crux of the Belgian plan to halt the German advance in late October 1914. 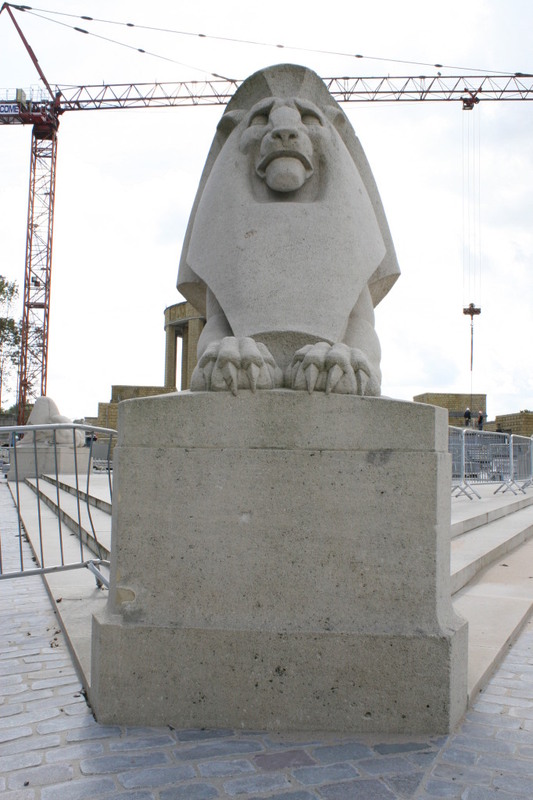 This entry was posted in Nieuwpoort, The Belgian Sector. Bookmark the permalink.